Sebastian Vettel sent out an alert to Mercedes that the weekend won't be as easy as they had hoped. 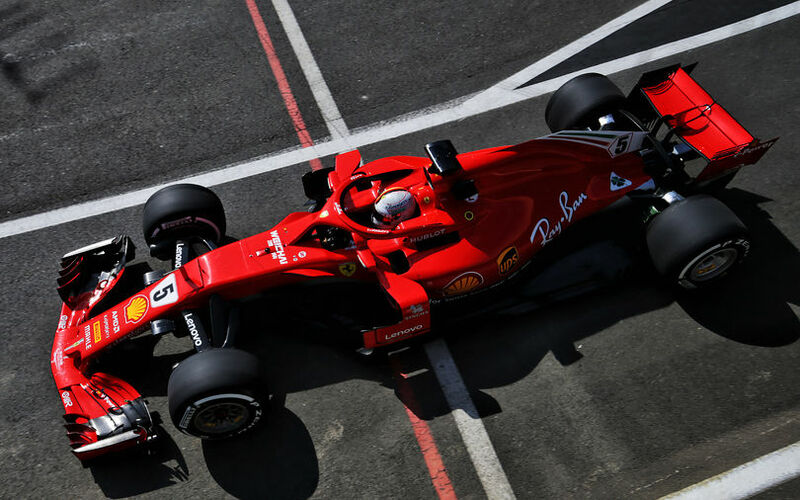 The Ferrari driver topped the Mercedes duo while Kimi Raikkonen sandwished them by setting the fourth fastest time. Daniel Ricciardo ended up fifth fastest, and became the only Red Bull in the top 10 as Max Verstappen crashed out on only his second lap. A brief moment of oversteer sent the Dutchman into the barrier, causing enough damage to the right rear suspension to prevent any further running for him. Similarly to Red Bull, McLaren also saw its drivers have very mixed fortunes. On the back of a low key FP1, Fernando Alonso found some respectable pace in his McLaren to go sixth fastest. This left Stoffel Vandoorne wondering about what might be, as the Belgian continued to complain about various car issues. Renault's Nico Hulkenberg was 7th fastest, less than a tenth down on Alonso. The Force India duo led by Esteban Ocon completed the top 10.